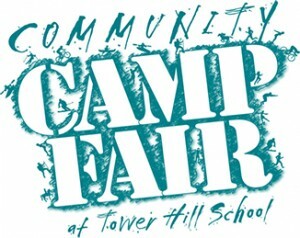 January 29 is the annual Camp Fair at Tower Hill in Wilmington, Delaware! | Back to Basics Learning Dynamics, Inc.
January 29 is the annual Camp Fair at Tower Hill in Wilmington, Delaware! Are you searching for a summer camp for your child, but not sure where to start? The process can be daunting! Camp fairs make it easy for parents to sort through the many choices. The Camp Fair at Tower Hill School is a free event that brings over 125 camps and summer programs straight to parents in the field house at Tower Hill on Jan. 29, 2015. Both day and overnight camps (domestic and international) are represented for campers in preschool through 12th grade, in all price ranges. It is a great opportunity for families to talk with representatives from camps like the Back to Basics educational camps and learn more about various programs. Off-site parking with free shuttle service is available from the University of Delaware’s Wilmington Campus on Route 52, across from Tower Road. Please join us at Camp Fair on Jan. 29 from 3:30 – 7 p.m.so that you don’t miss the opportunity to talk in person!